Are you in need of a new Septic Tank? Are you having issues with your Septic Tank? So rather you live in Midland or Odessa or anywhere in between, call us for all your Septic Tank needs. You will be glad you trusted us for all your Septic Tank needs. Call today at 432-741-3025. So whatever you need for your septic tank call us today. 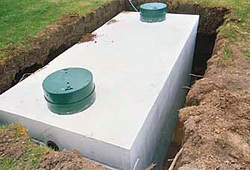 You will be glad you trusted Midland Septic Tanks for all your septic tank needs. Trust us to be your Septic Tank masters in Midland and Odessa.